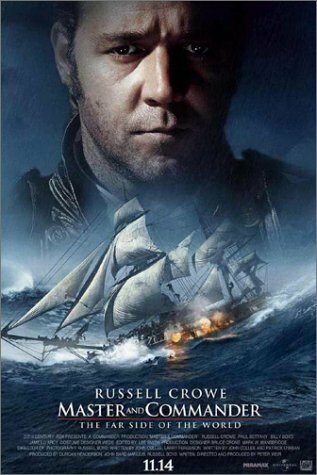 While we were in Arizona, we saw Master and Commander. It was okay. The maritime fighting strategy stuff was cool, and so were the ships. The captain ahab drama stuff wasn't so good. I wish that they could have had some sort of love interest too-- but maybe that's cause I'm in the mood for a romantic comedy right now.